So, we’ve had a very busy non-build-related month! Mike finally graduated from college (it only took 20 years) and we had a big party to celebrate this awesome achievement (soooo much celebratory fun). That took up most of my time for several weeks, so no time for blogging. 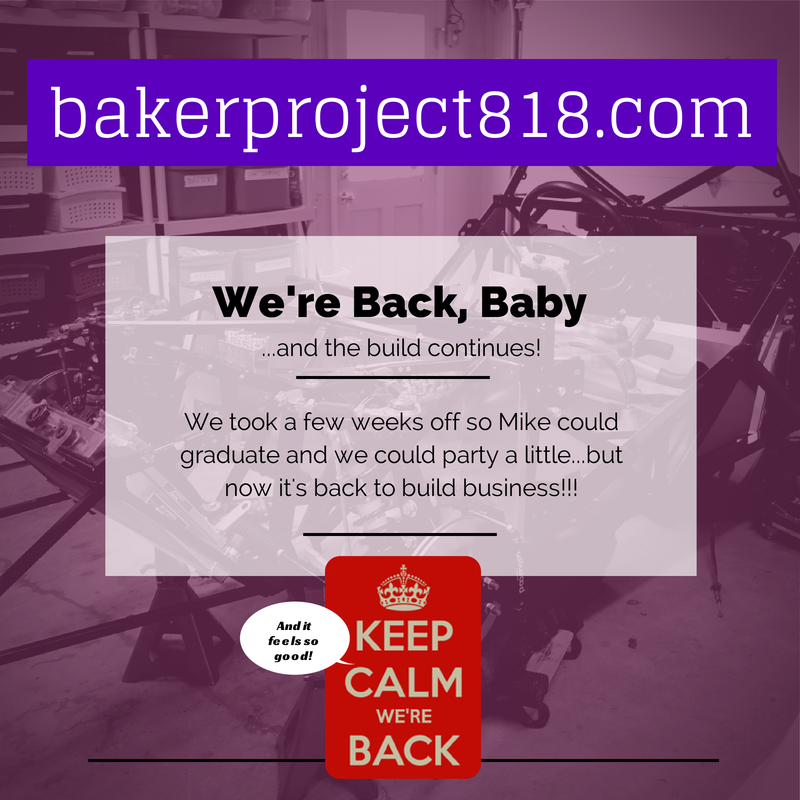 In addition, we’ve been waiting patiently for major parts to arrive from around the county, so the build was put on hold until those items arrived, like the transmission (that’s been the major hold-up on moving forward)…but now things are starting to roll in and we’re officially BACK TO THE BUILD!! !